You may have worked with the rule of thirds in your composition but have you ever used the Golden Ratio? Using the Golden Ratio can allow you to create images that really catch the eye and are extremely attractive to a viewer. This is a powerful composition tool that’s worth getting to grips with and in this issue we show you how. 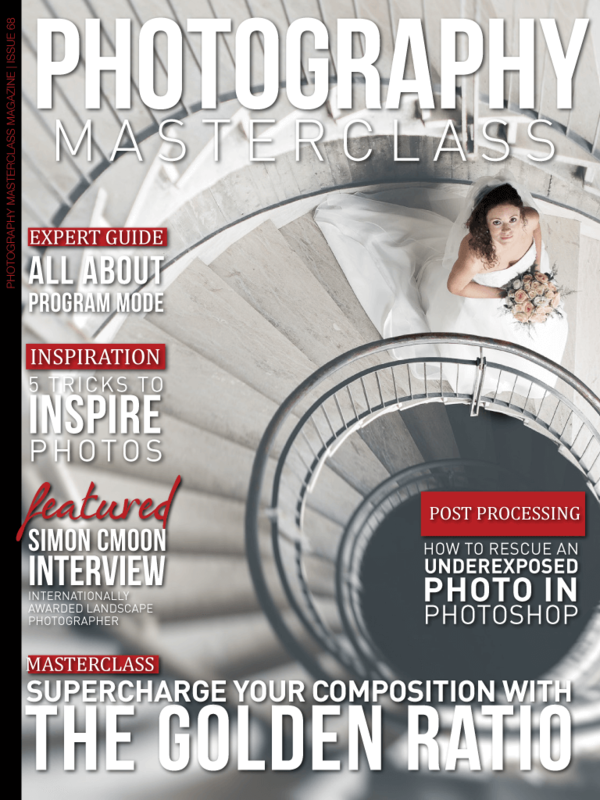 Also in this issue – we look at exactly what program mode on your camera does and how you can use it. You'll discover how to rescue an underexposed photo in a great Photoshop video tutorial. We also bring you an in-depth interview with internationally awarded landscape photographer, Simon Cmoon, who is sponsored by Haida filters, Novoflex and supported by Nikon. And don't miss the lowdown on the Sony a7 III, a camera that can seriously give you the maximum photographic bang for your hard-earned buck!